Couthures-sur-Garonne, the typical village on the banks of the Garonne, which lives at the rhythm of the river. One hour from Bordeaux and near Marmande, the “Maison des Gens de Garonne” tells you about the Garonne. 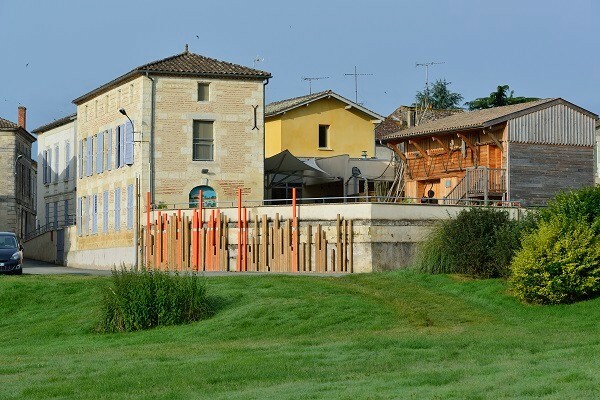 Here, the inhabitants of the village of Couthures-sur-Garonne often have their feet in the water but, be reassured, they are used and they are organized! Cine-show “Gens de Garonne, quelle histoire!”: You are immersed in the life of the village; share the adventure of men who live according to the moods of the river and experience a flood as if you were there. The “Maison des Gens de Garonne” is not a classic museum as we are used to visiting. Combining the techniques of cinema and theater with many special effects, and makes live a unique adventure: a total immersion in the heart of a human story. Animated mock-up “Alerte à la crue”: Discover the mechanism of the rising waters and especially how the inhabitants live with over the decades! 3D movie “Si Garonne m’était contée”: Go for a trip on the Garonne and into the heart of the river ecosystem. We are talking about the Garonne today but also tomorrow. Let yourself be guided, listen and think. Open from April to September. Every day in July and August.